Pfc. Woodrow W. Dill, son of Mr. and Mrs. W. R. Dill, attended Cons. No. 3 School. 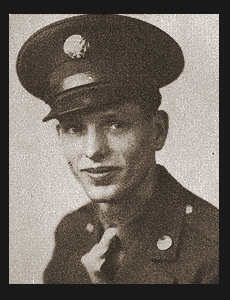 Entered the Army in Aug. 1943, trained in Ft. Knox, Ky.; served in England, Belgium and France, where he was wounded in July 1943, and Germany, where he was wounded in April 1944. Awarded ETO Ribbon with three Battle Stars, Good Conduct Medal, Victory Ribbon, the Purple Heart.